One of our STAR Forum members has a child in Park City High School. She contacted me very upset about a 1½-hour presentation in her child’s class. I decided to look into this a little further and found some background on this subject. The NCCJ (National Center for Christians and Jews) is an organization that I have had dealings for many years, a number of years ago. My former boss, Robert L. Rice, was a supporter of this group. I attended many years of black-tie events honoring people such as Gordon B. Hinckley, at the price of $10,000 per table. I had a great deal of respect for this group, as I noticed it was a way to bridge the gap between different religions, different races, and different socio-economic backgrounds. They taught people how many things they had in common. It was a great plan. Then something must have changed …. Sometime since I knew this organization and now the organization has become ICCJ or The Inclusion Center for Community and Justice. On the outset, especially looking at the website, I would say that it stands for the same things, unless you dig a bit deeper. Rather than teaching adults and children to find their commonalities, they are promoting “social justice.” Let us define the difference between equal justice and social justice a bit. Equal justice is what we, as Americans, and especially our founding fathers, hoped to create in this country. 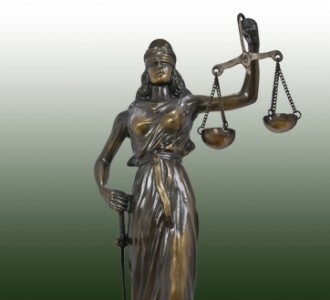 Equal justice is portrayed in our society by a blindfolded justice holding the scales. She is blindfolded as to not see your race, your religion, or your social status as a factor in applying the law. Social justice, on the other hand is what most Marxist and socialistic philosophies lean toward. Their idea of justice is when a race of people, or a class of people who have oppressed (even if it was their great-great-great-grandparents that did the actual oppression) must pay to those great-great-great-grandchildren of the oppressed their due. This shows up in re-distribution of wealth programs, the stirring up of class warfare, affirmative action, programs that grant entitlements or benefits, or some other special privilege based solely on your race or ethnic background, etc. When not at the Inclusion Center, interns carry out the mission of the organization by running social justice clubs. These clubs hold weekly/monthly meetings that discuss school specific issues, implement service learning projects, and run student driven campaigns such as Oppression Awareness Week and Teaching Tolerance’s Mix It Up Day. These clubs can currently be found at Highland High School, West High School, East High School, and Judge Memorial in Salt Lake City. Three Park City High School English teachers have had a presentation from the ICCJ called “White Privilege.” Anna WIlliams was the first this year, followed by Steve Cuttitta and Melissa Nikolai, who combined their classes for the 1 ½ hour presentation. Mr. Cuttitta believes this is a good opportunity before he moves into teaching about the Holocaust and the novel Night, by Elie Weisel. The premise of the class was to teach 10th graders that they are racists because they are white and have lived privileged lives. After looking at the literature from the class, and all of the literature easily accessible on their website www.inclusioncenter.org , I would have to agree with that conclusion. I even have a copy of an email from the presenter that shows her intention. It is to make these children uncomfortable. 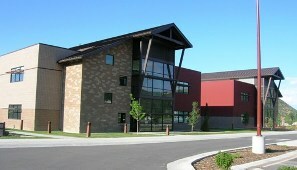 After the mom contacted one teacher at Park City High School, Steve Cuttitta, he responded that “at no point in the presentation did she call any of the students racist.” However, Mr Cuttitta did not stay in the classroom during the presentation, so he may not have been aware of that labeling against the students. And just two days ago, Mr. Cuttitta continued to lead the students’ thoughts by asking his class to imagine a scientist. Once they had imagined a scientist he told his class they probably imagined a man, and probably a white one. Then he asked them to imagine a criminal. Again he said they probably imagined a man or a male, and most of the students probably imagined someone who was not white. Here is a direct quote from one of the emails I received from our member about what went on at the high school. After being asked why all the black kids, Mexican kids and white kids grouped together in the lunch room, they hesitated to answer. Maybe there are other reasons besides race involved. Maybe it could simply be not wanting to be around people you believe are rude to you. Or maybe you like to be around someone you can understand. Alternatively, maybe it could be better explained by a great philosopher like C. S. Lewis in his book The Weight of Glory, and the chapter titled “The Inner Ring.” Have your 10th graders read that one and discuss it. This is an English class, right? Now before anyone starts screaming about seperation of church and state, at no time during this thesis of the Inner Ring, does C. S. Lewis bring up God. Rings are created from the inside and the outside. If someone feels excluded they themselves may be the ones creating the dimensions of the ring. Other times the dimensions are created from the inside. But rings develop, and they are not always bad, they just are. We gravitate toward those individuals we feel the most comfortable. There is no guilt-trip here. But this ring is accidental, and it’s exclusiveness is a by-product. This according to Aristotle is placed among the virtues, because this is friendship. What a great lesson. These children could be taught to enlarge their circle of friends, instead of giving them a guilt-trip about their view-point, which has not even fully developed. I was saddened to see that Park City High School and the ICCJ have gone about this great idea to help bridge gaps in completely the wrong way. I am willing to give the teachers a bit of a pass, because maybe they are really unaware of what they are promoting, which is social justice. However, I think it’s time that all involved take a long look at what kind of indoctrination and guilt is being pushed. And this is happening to our children while they are under the care of our educators. While it is important to teach values and principles in school, the way they are taught is just as important. This is not the way to do it. This is a group with a political end-game more in line with Marxism and Socialism than American individualism and equal justice. The principal of the school should be screening programs such as these, and have opt-out letters available for parents to sign. We are watching. We do not need to make the white children see their skin color as a curse and told they are racists, nor the blacks or Hispanics to feel they are being judged because of their skin color, when that might not really even exist. I think Martin Luther King Jr. would be appalled. Each of us should be judged on the content of our character not the color of our skin. And that includes all kids. This entry was posted in Living a Principled Life and tagged Anna Williams, C. S. Lewis, equal justice, Gordon B. Hinckley, High school, ICCJ, Martin Luther King Jr., Melissa Nikolai, Park City High School, Salt Lake City, social justice, Steve Cuttitta, The Inclusion Center for Community and Justice, Weight of Glory, White Privilege. Bookmark the permalink. I really see nothing wrong with attempting to get kids to think. Especially in Utah where most kids have little or no experience or interaction with anyone out side their own race. Social justice is something Jesus would promote. You’re twisting into something bad because it makes YOU uncomfortable. Once again you’re showing your greed. You’re afraid someone might get a fair shake or a little extra help that you the predominant class don’t need. Once again, this site makes ME uncomfortable with the prevailing attitudes of some in the community. Show a little humanity and generosity for those not like you. It might make you feel better. Brent, you do not know me, nor understand the “kind” of people that make up The STAR Forum, or other groups like mine. We have no racial agenda. In saying that social justice is what Jesus would promote, it is not me that is distorting the gospel that is taught but you. Social Justice is a way to redistribute the wealth through government and social agendas that actually hurt minorities more than they help them. One of our members is the first black Utahn to graduate with a PhD from the University of Utah (medical) and did so with high honors. This man was not given any special privelege because of his race. He was judged based on his character, his grades, etc. That was Martin Luther King Jr.’s dream. I am not uncomfortable at all with other races, religions, and cultures. I think it is wonderful to get children to think in the classroom. But thinking and growing stronger as a community does not come through name-calling, or guilt. It comes beautifully, by recognizing differences, and recognizes similarities. If the site make you so uncomfortable, you have the liberty to choose not to read our material. The children in the schools do not have the liberty to walk out of their classrooms. Jaqueline, you’re right I don’t know you. I do know folks who have lived in Utah all their lives, are Mormons and are very conservative. I grew up just like that and have a pretty good understanding of your way of thinking. ‘The Naked Communist’ by Cleone Skousen prominently displayed on top of the bookcase in our front hall so that the home teachers and the relief society would notice and approve. This was until even Mormons realized he was a bit off. Accusing President Eisenhower of being some kind of commie even got my dad thinking. Trust me, I’m not preaching or distorting anyone’s gospel. You’re the one studying at the knee of Glenn Beck. Congratulations! You have a black guy in your group. I would have bet your forum were all white. The supreme court has a black guy too. I hope yours is nothing like Justice Thomas. Is it name calling to suggest that there may be a little racism going on here? Remember, I grew up Mormon. I don’t think anyone will argue that Mormons are not a little racist. The whole decedents of Cain thing. The fact that blacks were banned from the priesthood until some time in the 70s. And their attitude about LGBT people speaks for itself. This article criticizing a public high school for challenging the kids to think about how they treat others is choice. administrator for not knowing anything because he wasn’t in the room the whole time. You weren’t there at all. You obviously have a bias against public schools and seem interested in seeing them fail, taking pot shots from the side lines. Thanks for sharing this. In the Calif high school two of my kids went to, in orange county, the kids segregated by interest, even with “diversity week”. (15 years ago) But I am not too fond of public govt schools any more, and have home schooled the last three kids. Thanks for the article. It’s surprising how close to home all this is. When it comes to public schools parents have ALL the power. Vote with your feet! Do not feel enslaved to a lack of choice. Put your kids in a different school, put them in a private school, homeschool them. Public outcry to the school district over this by ALL the taxpayers is also a good pressure point for change. Whining and complaining about it with no action behind it is futile. Come on Park City and SL Valley parents SPEAK UP, firm and direct. You have the power to make a difference. Without your students they have NO school!! I couldn’t agree more. We can also put pressure on Westminster College, and this specific ICCJ group. They get hundreds of thousands of dollars donated every year. Granted, it’s private money, so it is choice, but I don’t think many people even know what this group is really all about. But in the public schools, that is tax-payer money and time being spent on programs such as these, and that is a different story all together. Well said Jacqueline. You amaze me. What a shame that the school was able to get away with teaching such things. It makes me really mad. I want to follow up and say that prejudice is wrong, and while the cause of the ICCJ seems noble, we must be careful…very careful….about end goal of noble causes. The end goal of this cause is social justice and socialism. This has a purely poltical agenda. 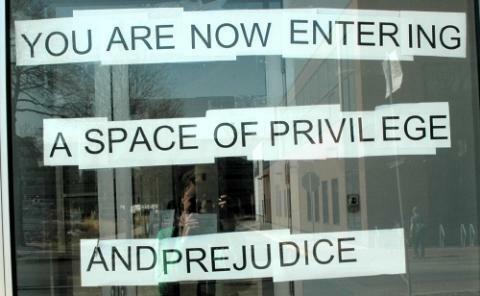 “Social Justice” is a purely subjective emotion that has absolutely no place in the public school system. Any school system that allows this sort of indoctrination should be removed.